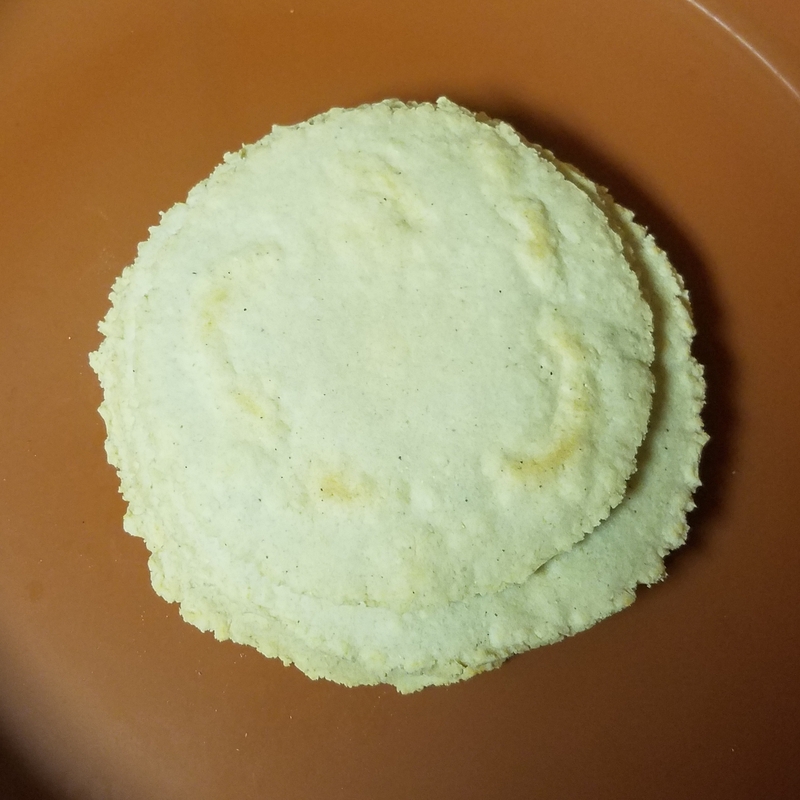 I made corn tortillas for the first time last week. They tasted okay, but weren’t the best. They served. A tortilla press is forgiving but my dough texture and portioning needs practice. The second batch was better than the first, so there’s hope of better fresh tortillas. Tortilla-making was not part of our family culture coming up. Mother began making tacos at home when she worked in the grade school cafeteria. She used store-bought tortillas and everyone liked them, including some of my friends who frequently asked, “when is taco night?” Those were the days when neighborhood grocery stores began selling more prepared food and eventually instituted a “Mexican section” in one of the aisles. Occasionally I make taco filling similar to what Mother made. When I do, it’s comfort food, plain and simple. I’ve been buying raw flour tortillas from the warehouse club and make breakfast tacos once or twice a week. Home made tortillas provide better control of what goes into them. Tortillas serve as a better delivery system than a slice of bread, or pouring stir fry on rice. Fillings can more interesting than tortillas. In the works is a kale, black bean and Guajillo chili sauce filling. My recent project of buying a press and warmer, Guajillo and New Mexican chilies, Mexican oregano and Mexican cheese is to develop new meal options. If it goes well, I’ll cultivate different chilies in the garden next year, although I’ve already ordered the seeds so there’s little doubt about that. Tortillas are like the mathematical function that establishes relationship between inputs and outputs. At the beginning is the raw material from the garden. In the end, it can lead to a better life. This entry was posted in Cooking, Local Food and tagged cooking, Garden, homelife, local food, sustainability. Bookmark the permalink.